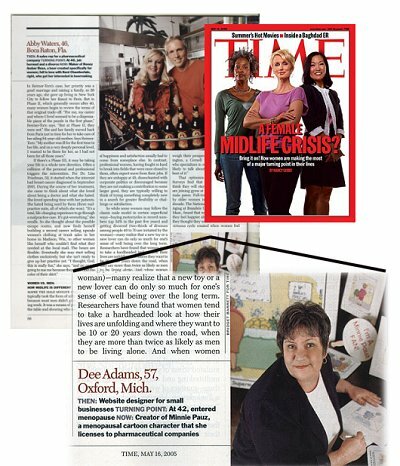 Also seen in The New York Times, The London Sunday Times, USAToday, LA Times, Detroit News and MORE Magazine. 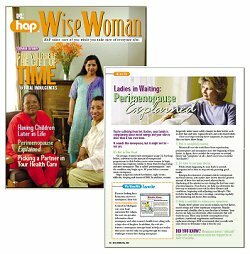 An in depth view of health breakthroughs in treatment,prevention and research for today's women. setbacks and goals. Guests that share specific tips and strategies that have been proven successful and can help you. Guests that will inspire and motivate you to find and follow your dreams and create success of your own design! 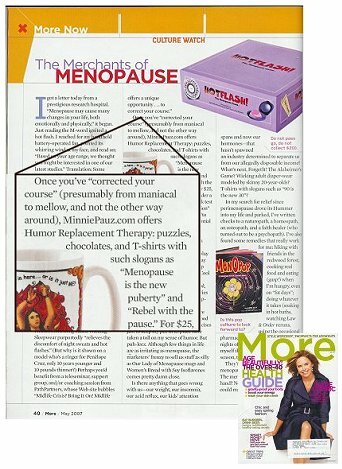 "If you're looking for a humorous answer to menopause, then visit www.minniepauz.com. issues along with a large dose of laughter. 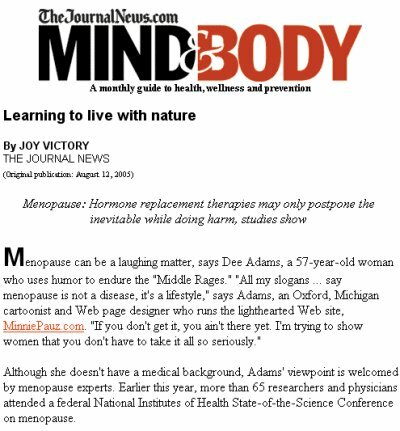 only one going through the many challenges women face during menopause." 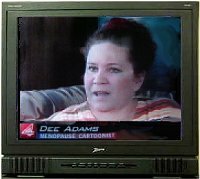 Report syndicated to US markets by Ivanhoe Broadcast News, Inc.
"Signing onto the Minnie Pauz Web site at www.minniepauz.com offers HRT - not hormone replacement therapy, but Humor Replacement Therapy. 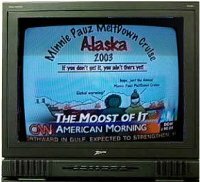 The site features Minnie, the Rebel with the Pause, who takes her humor with a dose of seriousness and offers a free club where women can find information, a book club, health news, guest articles and more. It's not just fun and games, but it does give immediate access to 150 cartoons when you sign up."